Ok so we admit we're not experts on foreign fashion and styles. However, we do know zebra print has been a longtime fashion staple, and its popularity only grows. 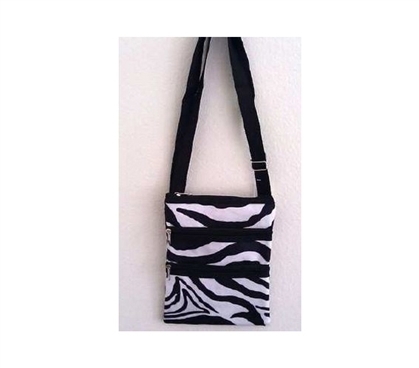 So if you're planning to take this Enhanced Zebra Print 3 Zipper Passport Bag abroad, you can travel in style. This small bag for college students will give you a great means of securely holding on to that passport while you're abroad. It's smaller size means it won't be too bulky or heavy to carry around. You can hold plenty of other essentials for college too such as your wallet, student ID, snacks and other smaller college stuff. Don't think that this bag is for only students traveling abroad. Whether or not your campus is big, you'll be doing plenty of walking around. When you're on the go, you'll want to have pens, your cellphone, a small notebook and other needed stuff for college on you at all times. Backpacks for college offer plenty of space, but they do get heavy quickly. This smaller, cheap shoulder bag will still let you carry your college essentials without feeling burdened. 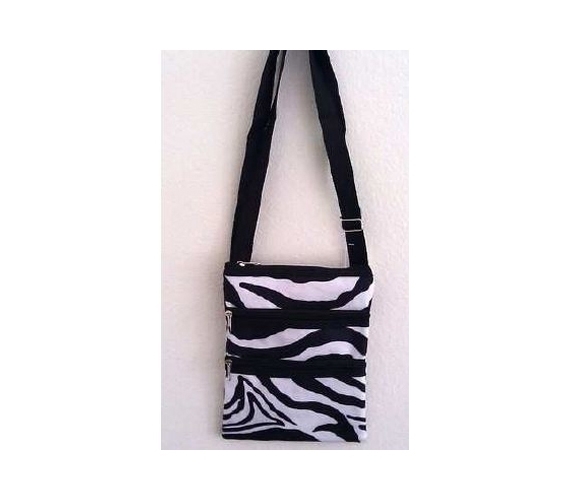 And, yes, zebra print will look good no matter which college campus you're at!